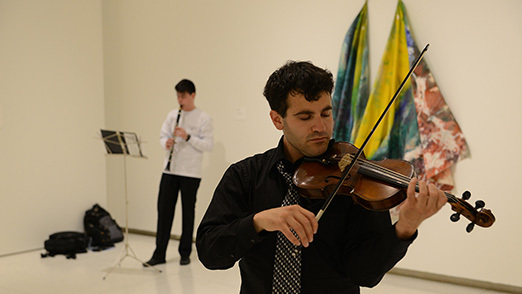 Through its student programs, the Feitler Center for Academic Inquiry provides paid opportunities for undergraduate and graduate students to expand their experience of the visual arts in a museum setting. We offer a range of programs to suit various levels of interest and academic advancement. 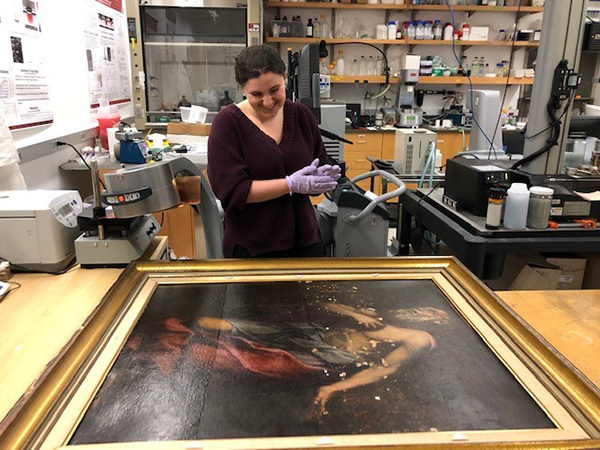 Our undergraduate departmental internships are entry-level introductions to museum careers, while our Research Associateships and Smart Scholarships are advanced, independent research experiences for students from any field of study. 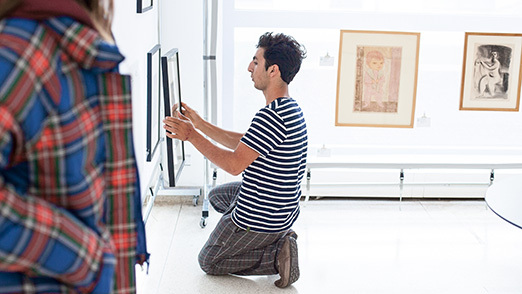 Curatorial internships for undergraduates and graduate students are well-suited for students with academic specialities in the arts and humanities who wish to explore curatorial careers. For more information about any of the opportunities below, contact Natasha Ritsma, Academic Engagement Coordinator, Feitler Center for Academic Inquiry. Presented in partnership with the College Center for Research and Fellowships, this program supports research opportunities at the Smart Museum of Art resulting in an original creative work (of visual art, music, dance, writing), exhibition, program, or scholarly essay. Students propose their own projects grounded in academic research (library, database, archive, conservation, materials science laboratory, or other museums) into one or more objects in the Museum’s collection. Undergraduate Research Associates work closely with a mentor—Smart Museum curators, educators, registrars, or conservators—to provide art-related research for specific Museum projects that are already in the planning stages and are scheduled to take place during the term of the student’s position, such as exhibitions or related programming. University of Chicago undergraduate and graduate students gain direct experience in museum work through year and quarter-long internships in a variety of areas, including the Smart Museum’s exhibitions, publications, campus art, registration, education, marketing, and business offices. Qualifications vary by department; all positions are paid and require approximately 8-15 hours of work each week. Typical application cycle: as needed, but generally post a few months in advance of each academic quarter. 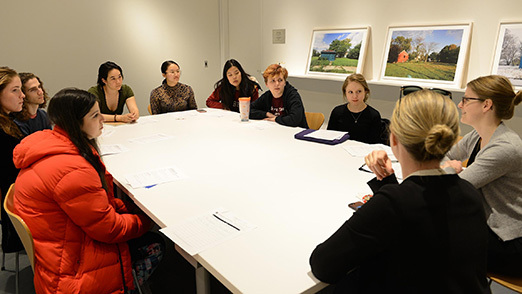 Curatorial internships engage students of all levels in research support for exhibition projects, under the mentorship of curators at the Smart Museum. Typical application cycle: as needed, but most post between spring tall for the following academic year. Provides advanced curatorial training for a PhD candidate in Art History. As often as possible, the Mellon internship will include the opportunity to curate an independent exhibition at the Smart. Typical application cycle: posts annually in Feb/March with an April/May application deadline. 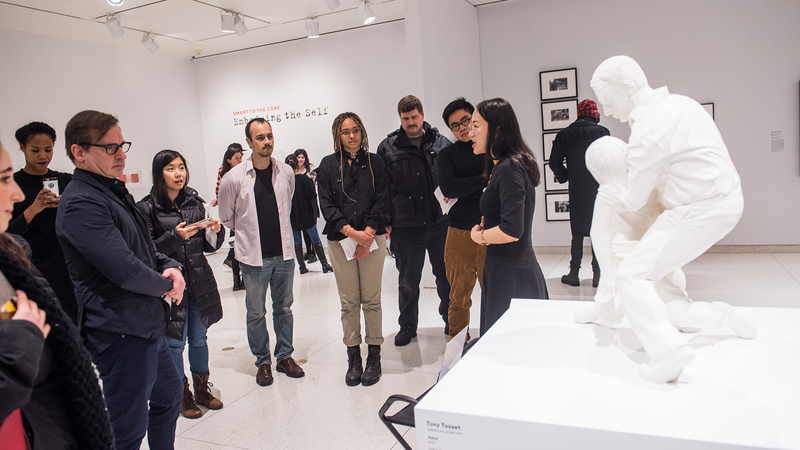 In partnership with UChicago Grad’s GradTalks Program, the Feitler Center offers biannual calls for applications to graduate students from any discipline to pitch and deliver short gallery talks about works of art at exhibition openings and related public events.